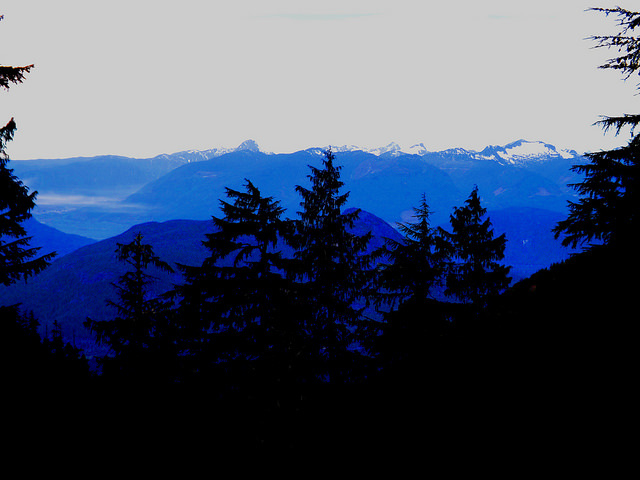 Description: The Deeks Lake hike, which runs along the Howe Sound Crest Trail, provides varied, beautiful scenery. 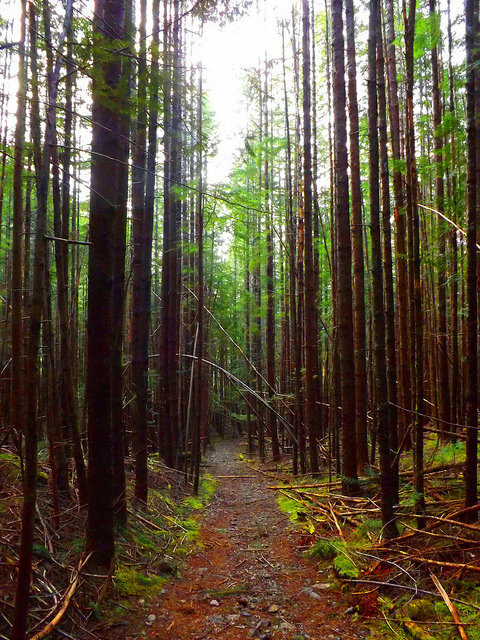 The first third of the hike runs along a logging road, but the remainder is on a regular forest trail. 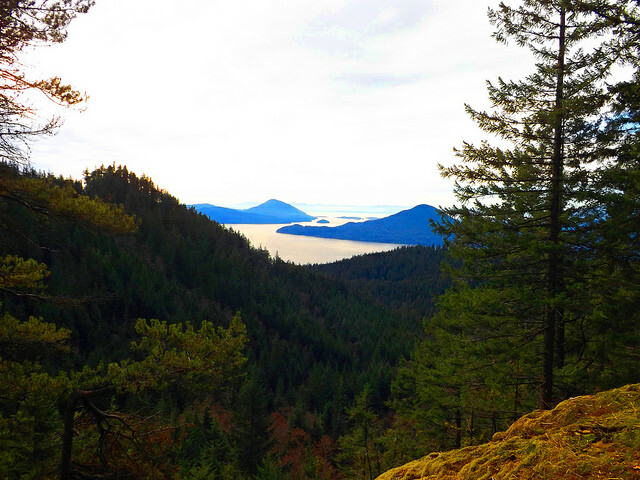 The forest is quite dense during some stretches, but there are plenty of spectacular open viewing points along the way where you can look out over Howe Sound and the local mountains, and the lake is spectacular. 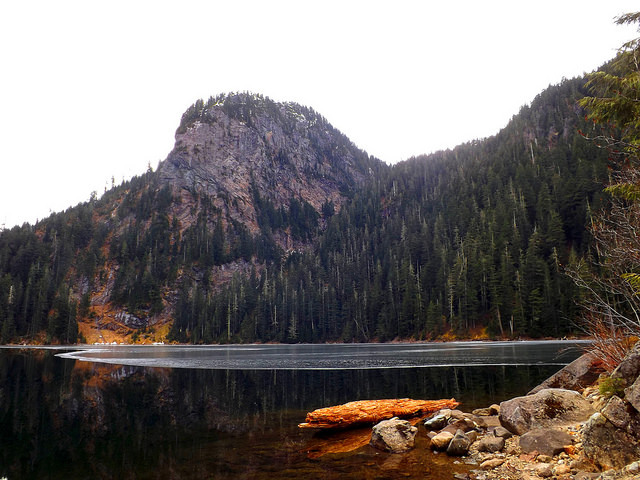 This hike is recommended for late spring, summer, and fall. You may encounter snow in the spring months during a cold year. On the other hand, we did it in February during an unusually warm year and didn’t have to deal with any snow. Time: Most sources say to allow 7 hours. We managed it in around 5, but we tend to go pretty fast on the uphill. We took quick breaks for photos, but otherwise went continuously up to the lake, where we stopped for lunch before turning around. Difficulty: Other sources list this hike as difficult due to its length and the fact that most of it runs uphill (980 meters/3,215 feet of elevation gain over 13 kilometers/8 miles). However, it doesn’t require any special skills, just decent general fitness. Although the trail was well-marked, there were a few areas with a lot of fallen trees where the trail was less evident, but it was easy to pick up again as there were plenty of orange markers. Required Equipment: Hiking boots, enough food and water for a strenuous day of hiking, rain jacket, and microspikes or snowshoes during the colder months; dress in layers and wear clothing that wicks away sweat, as you’re likely to be very warm during the uphill trek and then cool down rapidly at the lake. The trail provides a great workout. 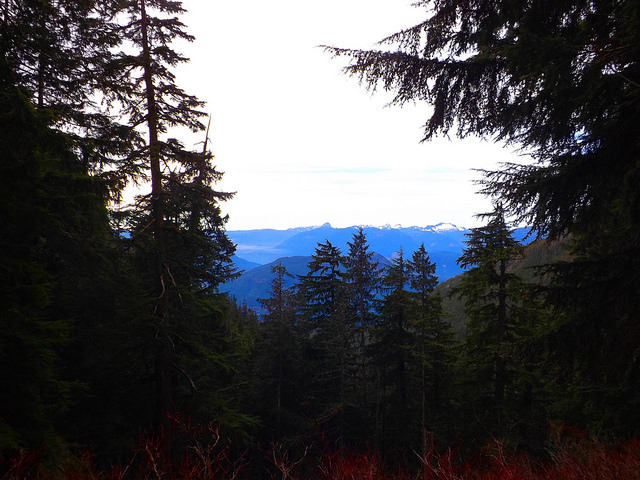 There are plenty of open viewing points along the way and the scenery is varied, interesting, and beautiful. Dogs are allowed on the trail. 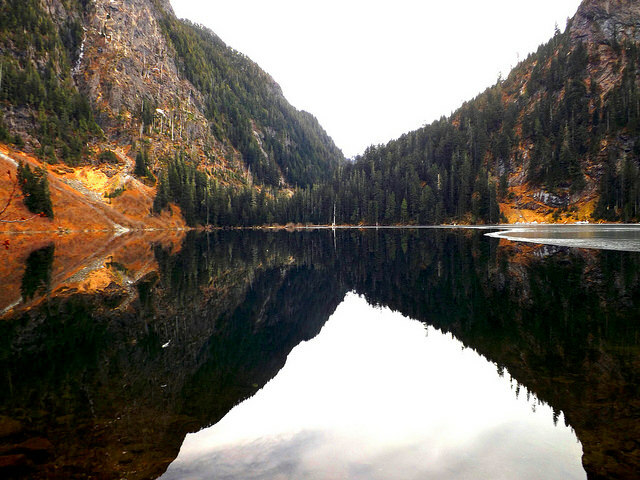 If you go during the colder months, the lake will be frozen over, so you won’t get to see it in all its glory. There are no bathrooms along the trail. The steep downhill stretches on the way back could be problematic for anyone who suffers from knee issues. You may see bears, though if you make noise and stick to the trail, they’re likely to avoid you. People often report seeing signs of bears on the trail rather than the bears themselves, or they see bears at the far side of the lake. For more information (including driving directions and parking), see the Deeks Lake pages on Trailpeak.com, VancouverHiatus.com, and LiveTrails.com. 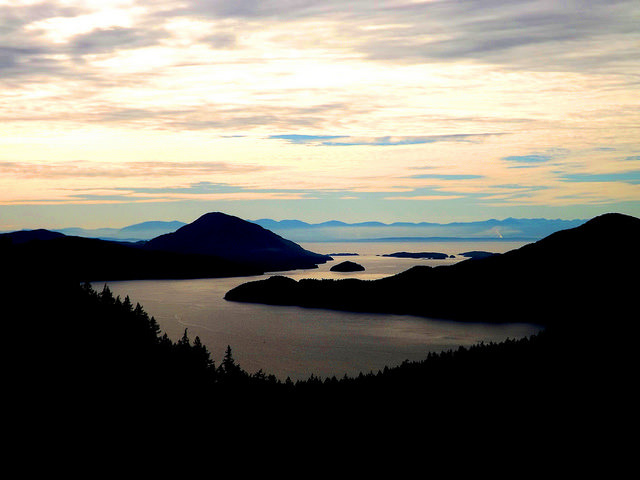 For more great hikes around BC and Washington, see the main Activities page.